The first generation of Pokemon games, which consisted of Red, Blue, and the special Yellow Edition, originally featured 15 Pokemon types. However, it’s entirely possible for players to almost reach the end of the games without knowing about a certain type: the Dragon type. The end-game scenario had players reach the Pokemon League and take on the Elite Four and the Pokemon League Champion. The last member of the Elite Four, Lance, carried two Pokemon that players most likely had not seen before: Dragonair and Dragonite. Since players can’t see the type of the Pokemon they are fighting against, it’s easy for players to assume that those two aforementioned Pokemon are just members of the 14 other types they were presumably aware of prior to the encounter. So you could say that Dragon Pokemon were a bit mystical in the first-gen games. Despite adding only one other Dragon Pokemon, Kingdra, the second-gen games (Gold, Silver, and Crystal) gave more attention to Dragon Pokemon by featuring them in a little side-quest just before players take on the games’ last Gym, which is, of course, led by a Dragon-type user. Additionally, the games’ Pokemon League Champion featured another familiar Dragon-type user. The third-gen games, however, introduced a whopping nine new Dragon-type Pokemon: Altaria, Vibrava, Flygon, Bagon, Shelgon, Salamence, Latios, Latias, and Rayquaza – the latter three are legendary Pokemon. And since then, subsequent generations of main Pokemon games steadily added more to the Dragon-type roster. 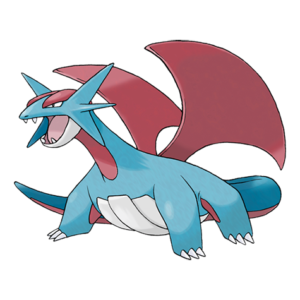 Players that were introduced to the Pokemon franchise through Pokemon Go can’t really appreciate the air of mystery and power surrounding Dragon-type Pokemon, but a lot of them are no doubt experiencing or have experienced the elusiveness of the first-gen Dragon Pokemon. Let’s shed some light into this elusive evolution line. 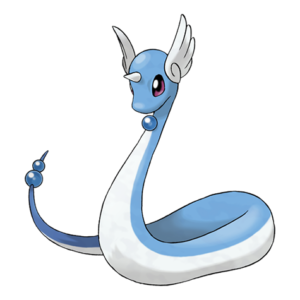 Dratini is the base Pokemon in the only Dragon-type evolution line in the first-gen games, evolving into Dragonair and eventually Dragonite. The first-gen games allowed players to get a hold of Dratini in only two methods. The first one is by buying it in a game corner, which is similar to a casino. Players can either buy the required number of coins or play the casino games. However, Dratini is the top prize, so naturally it requires the maximum number of coins, which would either cause players to spend a LOT of time playing the casino games or spend a LOT of their hard-earned in-game cash. The second method is by entering the Safari Zone, which is similar to, well, a safari that’s home to numerous rare Pokemon. Players can catch Pokemon inside the Safari Zone, but only in a limited time and with a limited number of Pokeballs. 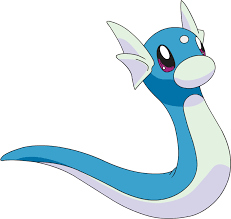 Dratini is one of the rare Pokemon inhabiting the Safari Zone and can only be found by using a fishing rod to, uh, fish it out of the small pond in the area. Naturally, Dratini is very hard to catch. In Pokemon Go, Dratini can be found near places of interest, similar to PokeStops. And the best way to encounter one is by using a Lure. Since they are quite rare, it’s very difficult to farm Dratini Candies, which is needed to evolve it. In the U.S., there have been reports that Dragon Pokemon are appearing often in golf courses. Most likely, golf club members are the ones that reported it. Another way to acquire a Dratini in Pokemon Go is to pray that it hatches in one of the eggs you’re carrying. In Pokemon Red and Blue, Dragonair is only available to players by evolving a Dratini. However, Pokemon Yellow allowed players to encounter it in the wild inside the Safari Zone, in the same fishing pond that houses Dratini. Of course, it’s rare to fish it out of the water for a wild encounter and it’s even harder to catch than Dratini. Pokemon Go players can similarly catch a Dragonair the same way as Dratini: either at places of interest or in golf courses. Alternatively, players can farm for Dratini Candies to evolve their Dratini to a Dragonair. If you want to have a more powerful Dragonair, be sure to evolve the one with the best possible Individual Values (IVs). The big daddy of them all. Dragonite is obviously the final form of the Dratini evolution line, despite not bearing the same blue coloring. 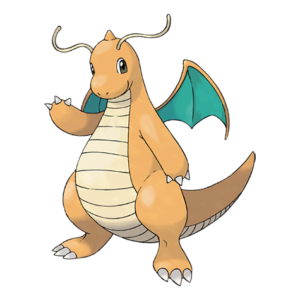 Arguably, Dragonite is the cutest of all the Dragon-types, at least of all the Dragon-type final forms, but its power is definitely not something one would call “cute”. In all the main games, Dragonite stands as one of the most powerful, with stats that even rival that of legendary Pokemon like Mew. It also has access to a very large set of moves, which allows players to be creative with a move set. 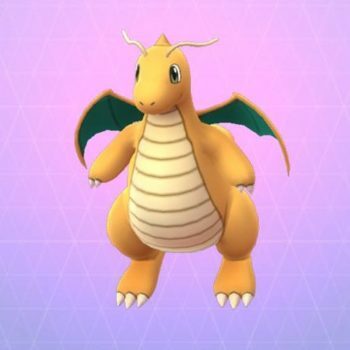 In the first-gen games, Dragonite can only be acquired by evolving a Dragonair, but Pokemon Go also allows players to catch a wild Dragonite similar to Dratini and Dragonair. And like Dragonair, it can be alternatively acquired through evolution. Keeping in line with the first-gen games, Dragonite is also one of the most powerful Pokemon in Pokemon Go, second only to Mewtwo in the tier list. Yes, the legendary Pokemon Mew is only third-best. Are they underpowered in Pokemon Go? Since Pokemon Go does not feature the six core stats from the main Pokemon games and allows Pokemon to only have a set of two moves, Dragon Pokemon can’t properly showcase their dominance. Yes, their Combat Power (CP) has a higher ceiling than almost all Pokemon, but they no longer possess the ability to have an unpredictable set of moves. The flip side is that Dratini, Dragonair, and Dragonite are relatively easier to acquire in Pokemon Go than in the first-gen games. Still, if you’re having trouble finding one of the three, you can either buy a Pokemon Go account that has all of them at hand. They may not be on the same level of uniqueness as the Pokemon Eevee, but Dragon Pokemon are certainly one of the most powerful – both in the main Pokemon games and in Pokemon Go. Their only real weakness is that they’re very weak to Ice-type moves, one of the most common. Where Do Ghost Pokemon Haunt Players in Pokemon Go?